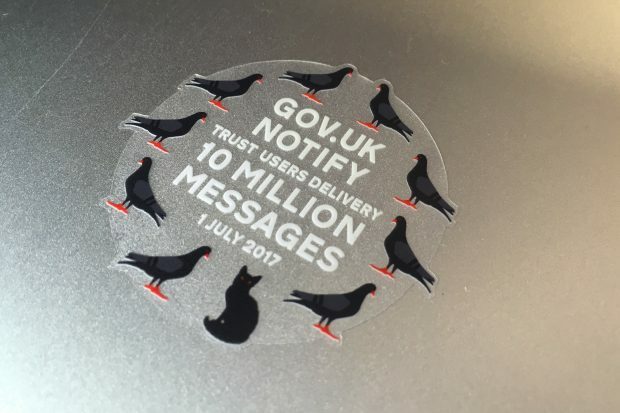 GOV.UK Notify – the government’s digital communications platform – is fast becoming established in central government. 70 service teams (from 34 different organisations) have used it to send more than 12 million emails, text messages, and letters to their users. We’re now ready to start offering Notify to local government. Many of our 900 trial accounts are from local government service teams keen to start using Notify. So we’re going to invite 20 service teams in local government to start sending messages. This means we can make sure everything works for these teams before we open it up for the rest of local government in a few months. Local government needs for sending notifications are very similar to those of central government. During the invite-only period we’ll learn what’s different for local government in terms of branding and paying to use Notify. Once we’ve made Notify available to all of local government, we’ll be looking to take a similar approach with the NHS. If you’re in local government and you’re ready to start sending emails, text messages, or letters through GOV.UK Notify, then let us know now and we can invite you.